The Telangana State Kummari Shalivahana Federation under the ambit of the BC Welfare Department has decided to promote works of the artisans by granting financial assistance to Kummari societies for establishing shops in the districts and the city. 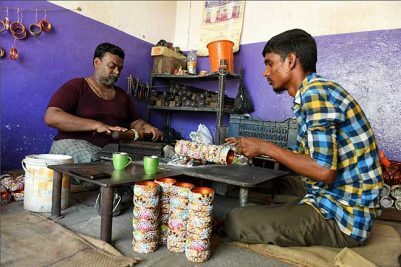 Hyderabad: Restricted to roadside stalls till now, products given shape by potters from the State are all set to occupy the pride of place in glitzy malls, retail stores and also on e-commerce websites. The marketing will be complete with these pottery items being put up for sale under a brand name of its own. 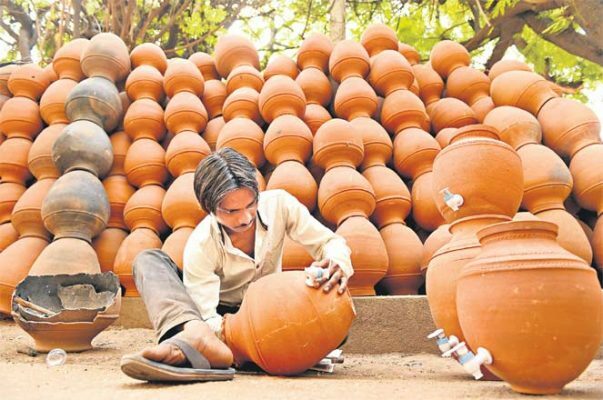 One retail shop each is being planned in the 30 districts of the State while the city will have three to four such shops offering pottery items such as pots, fridges, water bottles, glasses, jugs, cookers and cooking utensils among others. The jewellery made by potters (terracota) which has a huge demand will also find a place in the shops which to come up in the city malls. The Telangana State Kummari Shalivahana Federation under the ambit of the Backward Classes (BC) Welfare Department has decided to promote works of the artisans by granting financial assistance to Kummari societies for establishing shops in the districts and the city as well. The societies will procure items from artisans and put them up for sale in the retail stores. 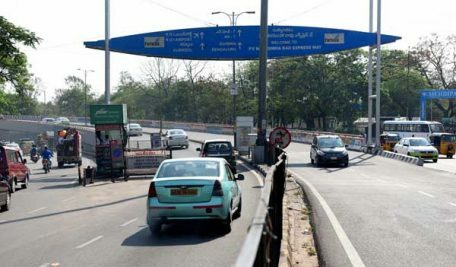 Presently, there are 1,450 Kummari societies registered with the federation of which 50 eligible will be granted financial assistance ranging from Rs 20 lakh to Rs 25 lakh for establishing the stores. The federation has sought permission from the government for starting these retail stores to promote works of the artisans. The plans of the federation will be grounded after the election code is withdrawn by the Election Commission of India. The federation, as part of skill enhancement programmes, has trained 3,500 artisans in making diyas, lanterns, water bottles, jugs, cooking utensils and also Ganesh idols. They were also introduced to latest technology being used in pot making. In the absence of these skills among artisans, the items particularly diyas, cooking utensils and water bottles were being imported into the State in huge quantities from Gujarat and West Bengal. “About 1,000 artisans were trained in making diyas and each trained artisan can now make 100 diyas a day. They were also trained in making water bottles, jugs and glasses,” a senior official of the federation said. Another 2,500 artisans will soon be trained in making fridges and cookers. Not just skill enhancement, the trained artisans will also be provided with latest technology such as electric pot wheel, modern kiln furnace and machines required in pottery making, worth Rs 20 crore by the State government. This will help potters in doing away with the age-old practice of manually rotating the potters wheel. “The future is bright for pottery artisans in the State. 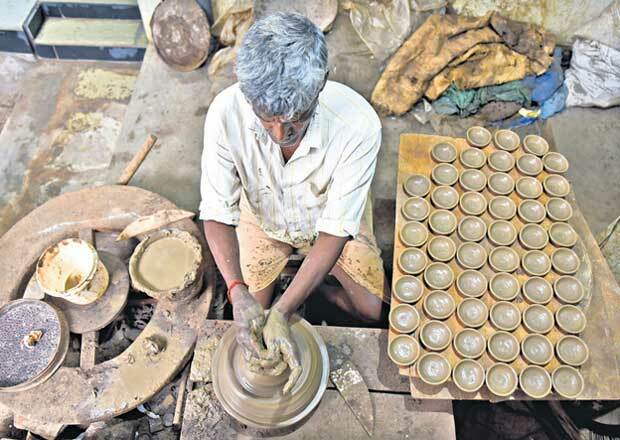 There are plans to facilitate societies registered with the federation in establishing retail shops besides pottery items made by Telangana artisans to be available on e-commerce websites under their own brand which will be finalised by the government, ” K Aloke Kumar, Managing Director, BC Welfare Federation and CEO, Most BC Welfare Development Corporation, said.